Josh Milan, longtime producer, singer, songwriter and DJ, has partnered with poetry collective Raw Honey to develop the new digital release. All of the poems are written about the theme happiness and they are backed by Milan's signature beats and melodies and even a few vocals. Offered as a free download, this release is available now from Honeycomb Music! The lushly produced "Happy" is easy on the ears and even easier on the budget because it is a totally free download. "Since our inception, we have been overwhelmed by the support fans have given our music releases. This project started as a gesture to thank our supporters and provide broader exposure to some of my poetry colleagues," said Josh Milan, CEO and Founder of Honeycomb Music. "But it morphed into something much bigger and much more special than we anticipated. The nine women represent a range of different life perspectives. And as the project progressed they have bonded and gained inspiration from each other. They soon dubbed themselves Raw Honey and resolved to let other artists know that it is never too late to pursue artistic dreams." Produced by Milan, "Happy" showcases thought-provoking, approachable poetry paired with Jazz, Funk, Techno, World Beat and, of course, House. The poets themselves range in experience from a first-time performer to regulars on the spoken word scene to a seasoned literary writer to an internationally known House Music spoken word artist. Each member of Raw Honey wants to empower others through art. "What blows me away most about Raw Honey is their courage and their openness. All of the poets are over 30 and some are in their 50s. Although this business is often about youth culture and catering to the mainstream, they have turned that notion on its ear. This poetry project will be inspirational to all types of artists. And, frankly, that makes me happy," said Milan. 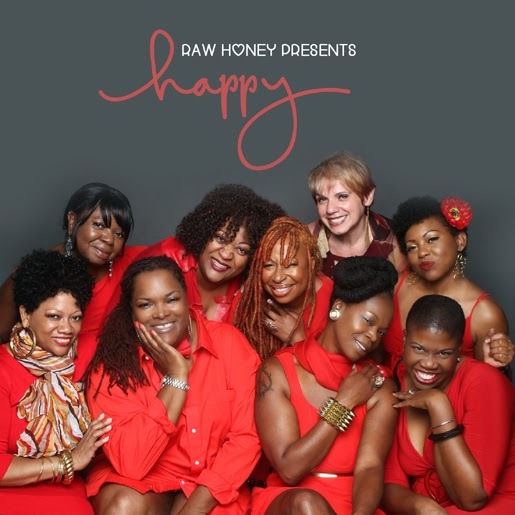 The members of Raw Honey are: Tantra Zawadi, Rescue Poetix, Debbie "Sanctuary" McRae, Brown Sugah, Sage Youngblood, Rhonda Welsh, Carolyn "Diamondancer" Ferrari, BNanaz Sweets, and Nicole "Essence" Jenkins-Watson. We'd like to thank God, Adam & Sarah Cruz, Honeycomb Music staff, Tinnetta Bell, Carolyn Yao, Mixtape Sessions, DJ Lou Alvarez, John Coffee Cave Murry, Slaag Records, Eddie Nicholas, Josh & Gloria Milan, Yamaha Instruments, Avid Pro-Tools, all of the amazing talent featured on this project, and you. Written and produced by Josh Milan. Poem written and performed by Rescue Poetix. Music written and produced by Josh Milan. Poem written and performed by Debbie "Sanctuary" McRae. Poem written and performed by Tantra Zawadi. Poem written and performed by Sage Youngblood. This song contains a sample from "Something About John Coltrane" by Alice Coltrane. Poem written and performed by Nicole "Essence" Jenkins-Watson. This song contains a sample from "Car Wash" by Rose Royce. Poem written and performed by Rhonda Welsh. This song contains a sample from "Tribecca" by Dwayne Williams. Poem written and performed by Brown Sugah. Sung vocals and music written and produced by Josh Milan. Poem written and performed by BNanaz Sweets. Poem written and performed by Carolyn "Diamondancer" Ferrari. Cover Photography by Tinnetta Bell. Press Release by Rhonda Welsh. All songs recorded and mixed by Josh Milan at Honeycomb Music Studios in East Stroudsburg, PA.
All songs mastered by Adam Cruz at EbbnFlow Studios in Bloomfield, NJ. ©2013 Honeycomb Music, LLC. All Rights Reserved.